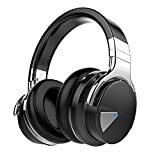 Bluetooth wireless headphones are now the object of desire for all those who love walking or playing sports without having too many wires scattered around them. They allow you to connect to smartphones, tablets or PC and work wirelessly: just have the source device in your pocket, bag or a few meters away and playback will be smooth, without being hampered by annoying cable. The Bluetooth wireless headphones are for people who do not like being tied to their music devices and are willing to pay a little more for this freedom. They are also ideal for people who have smartphones without headphone jacks and who prefer not to rely on adapters. The quality of Bluetooth audio has come a long way, although sound lovers still prefer corded headphones because of a slightly higher quality. 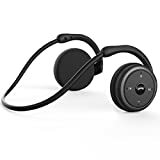 In addition, if you are looking for a pair of headphones to use at work, especially if you make many video calls, phone calls or work with dictation software, then you will want to consider a bluetooth wireless headset with integrated microphone (better if auctioned ). 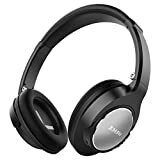 Some headphones (the more expensive ones) are equipped with active noise cancellation: here of course, we will also propose such models, and we will never forget to select those models that have excellent sound quality, good comfort and ease of use. At present, no headphone model offers the best sound and the best active noise cancellation. Unfortunately, this means you will have to compromise one area versus another. If you are looking for an alternative to AirPods or types of cordless headsets, please refer to our guide to bluetooth wireless earphones. Keep in mind that when it comes to these types of earphones, the microphone will never really be excellent. 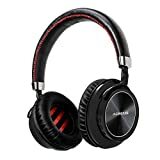 The battery will not last longer than a headset, and it is likely that you will pay a lot more money to achieve similar or slightly lower performance than the chosen headphones below. 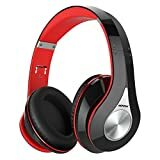 One last thing not to forget: Bluetooth wireless headphones are great for watching movies on your computer or mobile devices, but not all TVs are compatible with Bluetooth. 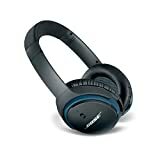 Unless you have a handset that can pair with Bluetooth headphones, you’ll need a transmitter to let the sound out of your TV and play it back on your headphones, and only one person at a time can listen to the TV. In addition, Bluetooth may have a latency that can cause a delay between video and sound. Generally, it is rather small but some people oriented to details may find the irritating effect.